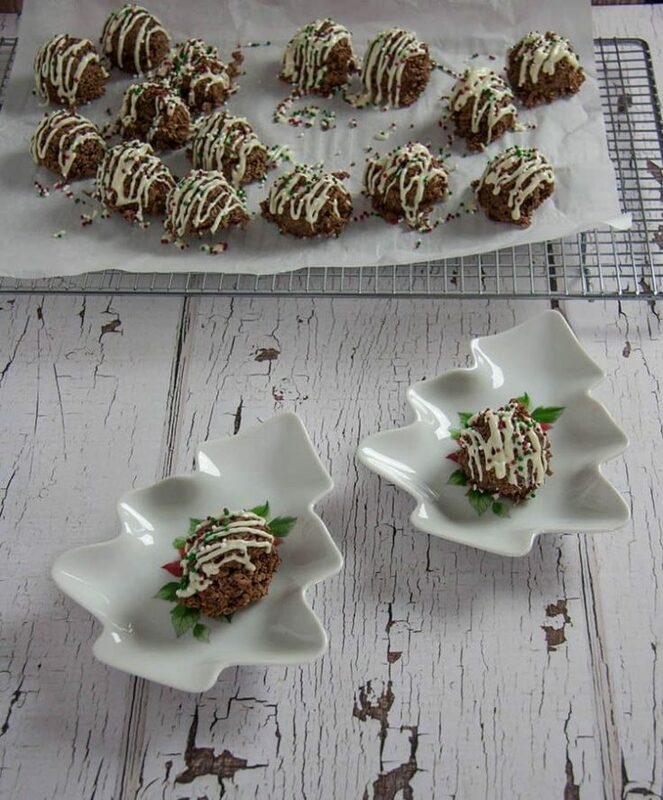 No Bake Chocolate Drop Cookies. An explosion of chocolate-y goodness in your mouth. Kind of like our Reece’s Pieces Magic Cookie Bars, only perfect for the holidays. 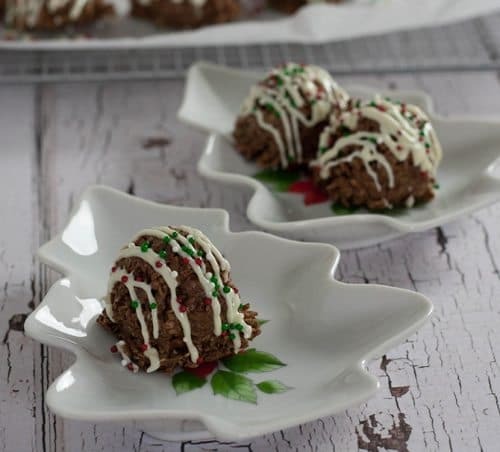 I always associate No-Bake Chocolate Drop Cookies with the holidays, the star recipes of cookie exchanges and potlucks at work. Childhood. Snowy days. Lovely baking smells from the kitchen. They are Simply. The Best. Ever. 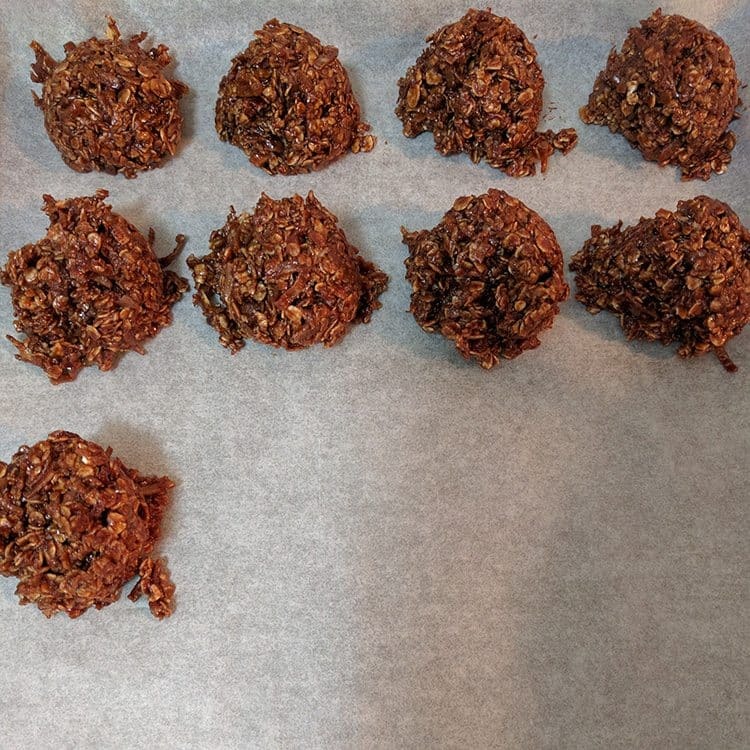 You don’t nibble a no-bake chocolate cookie. Or take a bite and chew. You put the whole thing in your mouth. The whole entire cookie. All that lovely chocolate, coconut and chewy oatmeal. Speechless, coz you can’t talk when your mouth is full! With a big glass of milk to follow….. 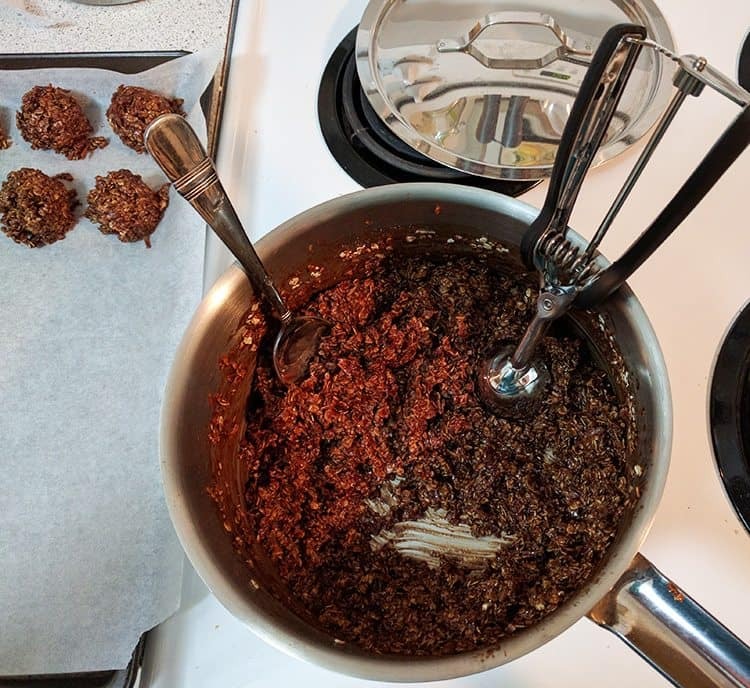 These no bake chocolate drop cookies are so easy to make, just 3 main ingredients, all in a pot and stir. 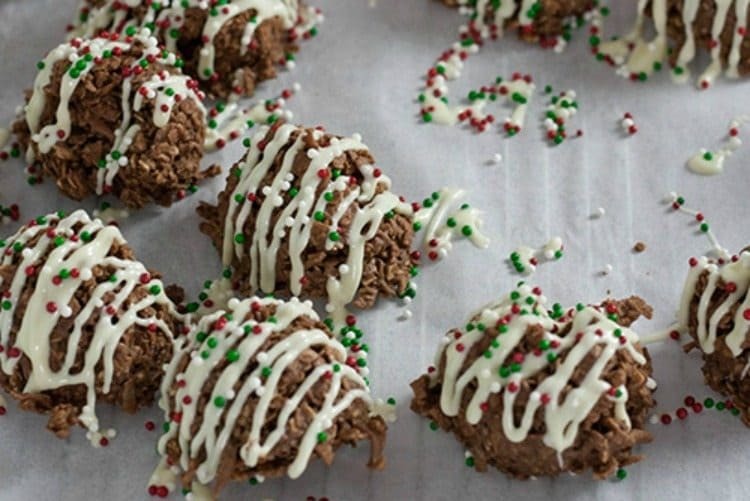 A great recipe you can make with your kids or grand kids. There are many versions out there. I like to keep it simple, like this recipe. Just cocoa, coconut and oatmeal. And a few other yummy ingredients! You might also adore our Maple Fudge Toffee Bars or our Salted Caramel Mousse in Puff Pastry. Amazing. Drop by spoonfuls – I’m using my new cookie scoop! – Onto parchment paper and chill. 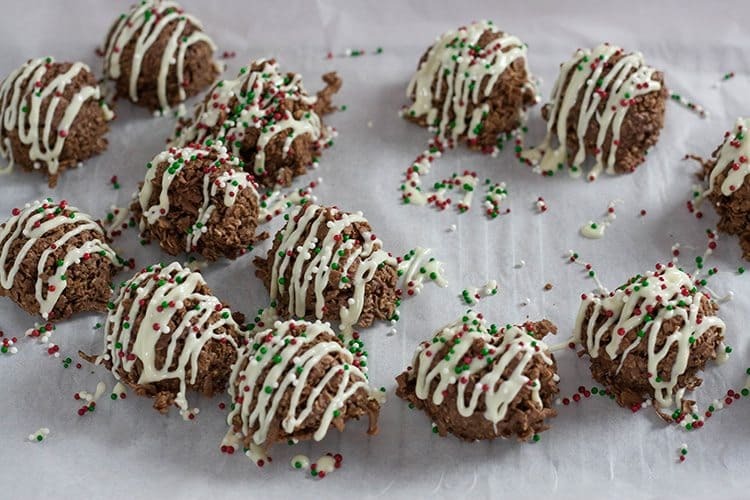 White chocolate drizzles and a little holiday sprinkle jazzes them up, don’t you think? 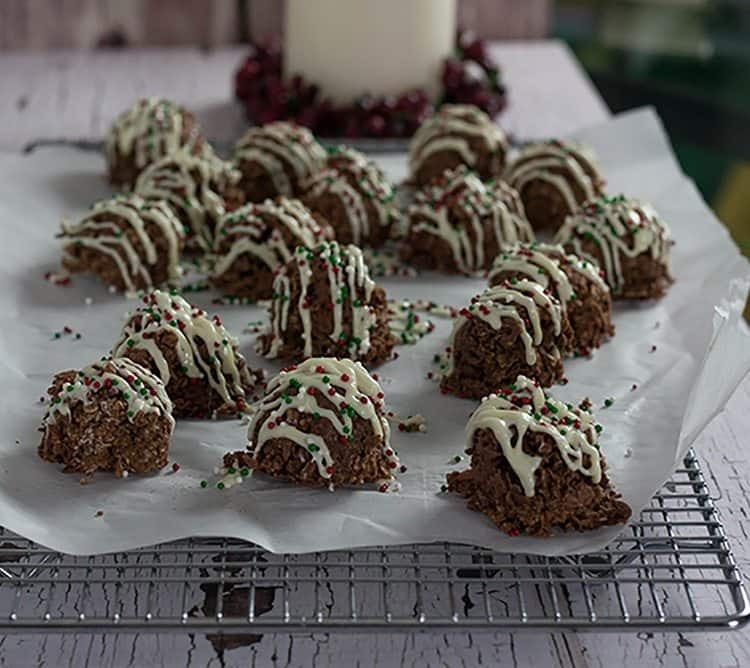 Double the batch and make dozens – enough to freeze so that you can have No Bake Chocolate Drop Cookies all.month.long. Heat sugar, milk, vanilla, cocoa and butter to boil. Boil for 3 minutes only (use a timer). Drop by spoonful onto ungreased waxed paper. I love to bake & create easy recipes that will turn novice bakers into rockstars! A full time administrator, writer, food blogger, mom and grandma, Perfect Pies and Pastry lets my creativity shine.